First, I want to apologize for anyone who bet the Oakland game and didn’t “list” the pitchers. Listing the pitchers automatically cancels your bet if there is a pitching change to someone other than your “listed” pitchers. This is especially important with how I handicap games, because a lot of it is based on specific pitchers and matchups. Eric Bedard and his success against the Athletics was a vital contribution to betting this game on the under so when he got ousted for Bud Norris, it changes everything. It’s for this reason you should list pitchers in your bets. I’m sorry it had to happen like this (with a loss) but now we can move forward everyone knowing how and why you should “list” pitchers. Our winning games on the card however went just as I’d thought. Braun was out of the starting lineup and Ramirez was placed on the DL this morning. We were able to get them at around +120 even though they closed at a slight favorite due to our gamble. In the San Diego game I recall saying the game “should be capped around 9.” We were right on the money. In our 1 loss, loads of early offense cost us the game, even though the second half turned into a duel between the two bullpens. I tried for a half hour to find something, some sort of stat to keep me from betting this game, but I kept stumbling on more and more incriminating evidence on why Cleveland should lose this game handily. I don’t even know where to begin so I’m just going to start rattling them off. David Price is 5-0 in 6 career starts vs the Indians with a 1.64 ERA. Justin Masterson is 1-7 in 9 starts against Tampa Bay with a 7.74 ERA. 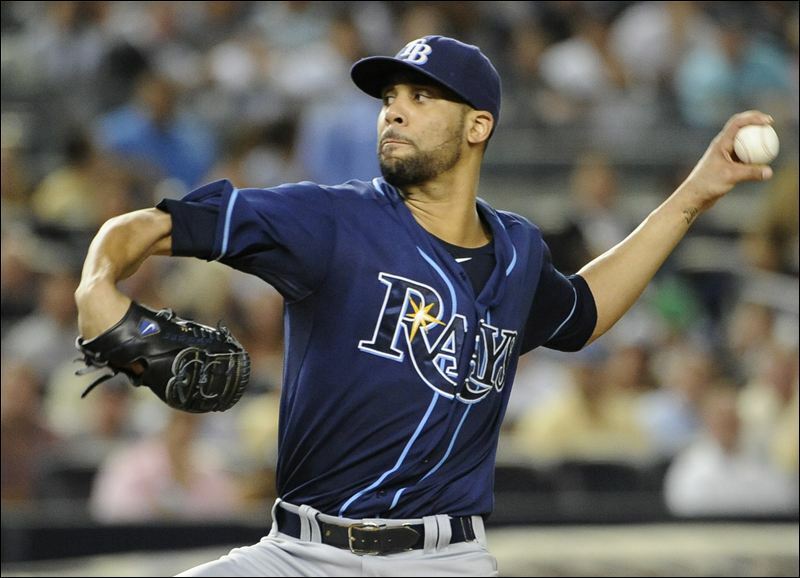 Last year David Price was 7-2 in 13 starts at home with a 1.81 ERA. Justin Masterson was 5-9 in 17 starts on the road with a 6.40 ERA. The only hitter in the Cleveland lineup that has had remote success against Price is Swisher and he’s only hitting a few points over .350. With Masterson, it’s quite the opposite with multiple batters having consistent success over their careers against him. Tampa Bay has shut out Cleveland in the last 3 games they’ve played each other. I could go on and on listing stats for this but you get the point. For all I know, we’ve picked the game that looks to defyevery one of these trends, but at plus money, I’ll take my chances we win by 2. Last night we went against the injured offense out in Milwaukee and it paid off. We’re doing the same again tonight, but banking on the under. Arizona’s ace Ian Kennedy shouldn’t struggle too much with this makeshift Brewers lineup. Corey Hart, Aramis Ramirez, and Ryan Braun would be HUGE losses to any offense. Those are 3 of the top 5 hitters in the Brewers organization, possibly in the top 4. Runs are going to be hard for them to come by in the coming weeks. The reason this under makes sense is because the Brewers also send to the mound their ace in Yovani Gallardo. In 7 career starts against Arizona, he’s 6-0 with a 1.02 ERA. Yes, thats a 1.02 ERA. He’s given up 1 run or less in 5 straight starts while lasting at least 6 innings or more in each. Look for a pitchers duel to break out in Milwaukee Sunday. We saw how the game went yesterday between these two teams. No different than the day before. And I’m hoping, no different than the game today. San Diego just doesn’t have the firepower to compete with Colorado. Even at -145 I think we’re still getting some value here. I’ve never been a firm believer in Edison Volquez and his stats somewhat explain why. He didn’t fare to well in his opening day start or on the road last year and the thin air in Colorado isn’t going to do him any favors. Jhoulys Chacin on the other hand gave up only three hits and one earned run in his opening day start only to see his bullpen blow the lead he’d built late. Look for a similar outing and him to notch his first win of the season this Sunday.